The seminar, held at UR-CST, was attended by a diverse audience. BBOXX COO Laurent Van Houcke presented company’s vision to get where the grid cannot reach and electrify 25% of the country by 2020. 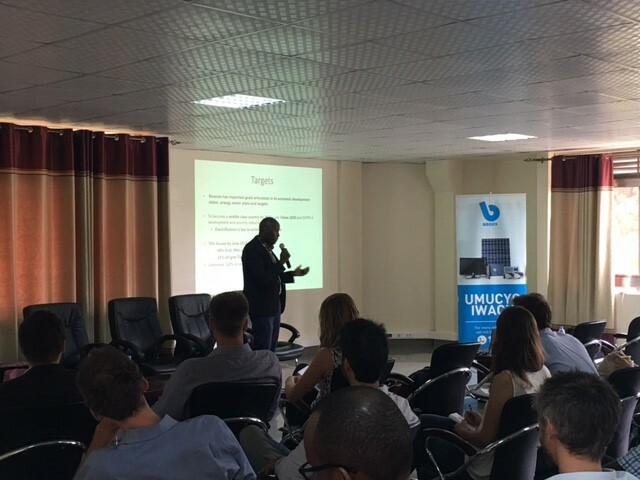 Morris Kayitare, Director of Primary and Social Energies Development at EDCL-REG, outlined Rwanda’s Rural Electrification Strategy and the role of off-grid solar solutions. 1.3 billion people in the world have no access to electricity and some 600 million of them are in Sub-Saharan Africa. Sustainable Development Goals (SDGs) have set out a target of achieving universal access to reliable, modern energy sources by 2030, which might seem like a long time but given the relatively slow progress in extending access in places where it’s most needed- this time frame suddenly becomes very tight. The International Energy Agency estimates that nearly $1 trillion of investment is required to achieve this goal, some $49 billion per year (IEA, 2015). Off-grid solar sector has to date attracted $511 million of investment, according to Bloomberg New Energy Finance report (2016), with Pay As You Go companies hitting a record $160 million in 2015. Still not enough given the capital-heavy nature of the off-grid market. From the left: Simon Rolland, Country Project Manager at Energising Development (EnDev) Rwanda, spoke about the work EnDev are doing with the private sector to support off-grid electrification; BBOXX Rwanda Managing Director Justus Mucyo and EDCL-REG Morris Kayitare. 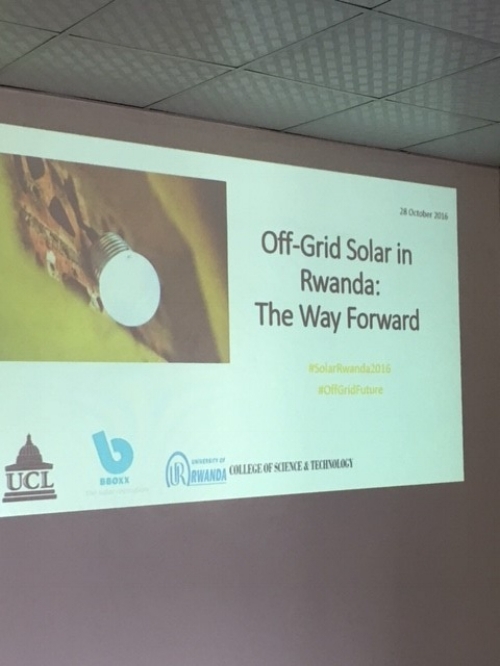 Given the landscape and the remoteness of places, distributed energy solutions prove more feasible than the grid in many places across Rwanda.